An evening filled with music, food, and fun for individuals with disabilities. 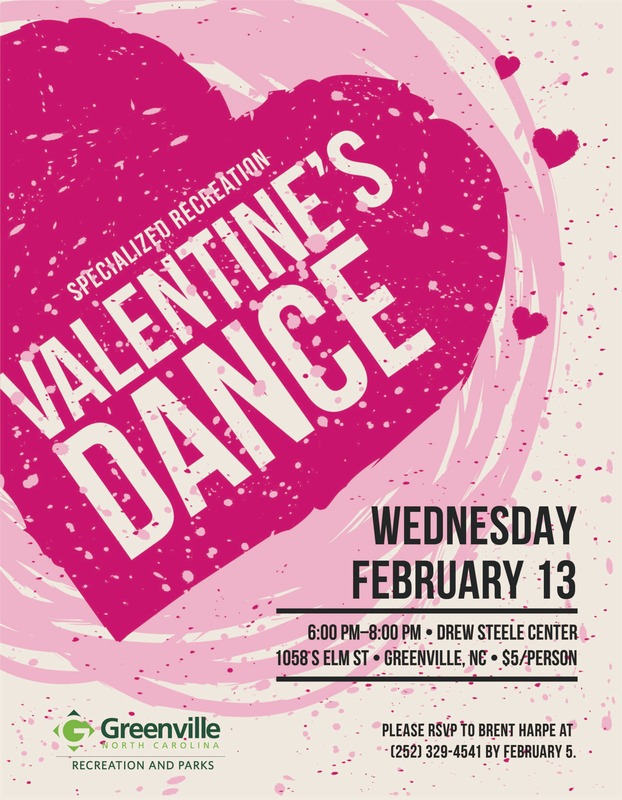 Please RSVP to bharpe@greenvillenc.gov by February 6th. $5 per person at the door.